The site of Super Bowl LII features a hybrid fiber infrastructure for broadcast crews and 1,300 WiFi access points for fans. Although it was played in a domed stadium, perhaps the biggest challenge for the 400-person strong NBC Sports Group crew in covering Super Bowl LII on February 4 was Minneapolis’ single-digit weather and record snowfall outside. To counter this, NBC Sports built a heated giant tent covering the entire NEP Broadcast truck compound outside the stadium. In addition to all of the whizz bang technology used for the game and related festivities, the other impressive new technological addition was an Aggreko uninterrupted power supply (UPS) that ensured the production crews had power (and heat!). The Aggreko UPS is so big that it was delivered on its own 53-foot trailer. The UPS was powered by one of four 1000 kVa diesel generators, with the other three powering the actual game as well as the pre-and post-game broadcast facilities. A major advantage of this year’s U.S. Bank Stadium site was that the relatively new stadium (it opened in 2016) is completely wired with fiber-optic and SMPTE hybrid cabling. This made connecting into the stadium’s patch panels fast and easy. NBC Sports also made extensive use of this new infrastructure for its mobile on-field studios and pop-up fan-friendly venues in front of and around the stadium as fans entered. For fans, the stadium includes 1,300 WiFi access points and thousands of TV screens throughout the venue. 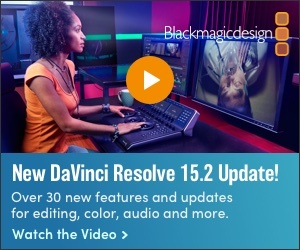 As it has in past Super Bowl games (the latest being 2015) it has covered for NBC Sports–due mainly to the literally dozens of Sony cameras, Grass Valley Kayenne K-Frame production switchers, Evertz EQX routers, EVS servers and Calrec Apollo digital audio mixing consoles—NEP Broadcast supplied a full complement of 4K- and HD-capable production trucks. This included its ND1 A, B, C and D (regularly used for NBC’s “Sunday Night Football” games during the 2017 season), as well as ND7 A and B rigs. NEP’s Denali truck will produce the halftime entertainment. 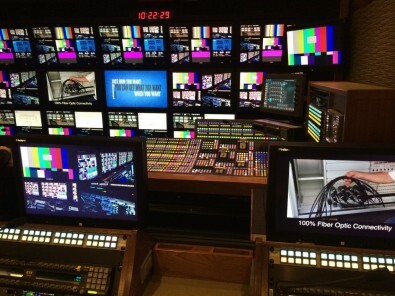 NEP’s ND1 production truck was built by NEP and designed to NBC Sports specifications, including a GVG Kayenne K-Frame Switcher. Along with a wide array of Cannon 4K and HD lenses, NBC Sports utilized a mix of Sony HDC-2500 (1080p), HDC4300 (4K) and HDC-4800 (high frame rate, 4K slomo) cameras. 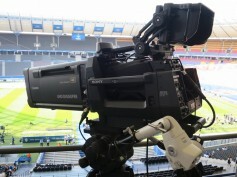 Sony HDC-P1R cameras were mounted on handheld Tiffen Steadicam harnesses for unique POV shots at field level. And, as it has in year’s past, NBC Sports also deployed a dozen fixed pylon HD cameras for extreme close-up replays; six in each end zone. Augmented reality (AR) graphic elements were used to great effect, displaying the 3-D graphics on the field, seamlessly combined with the live action video. These AR elements were captured with Fujinon cine-style lenses on 4K robotically controlled cameras mounted around the stadium. As per usual, a suite of EVS XT3 HD video servers; including a dozen six-channel and ten 12-channel servers, were used for 4K replays and near-real time highlights. Also onboard NEP’s main program truck (“ND7”) was one EVS XT4 serve, seven EVS IPDirectors, and five Sony 4500 servers. This provided the game day crew with 192 channels of video. This allowed every single camera used on the field or in the stadium to be isolated on a particular player or play. Each camera recorded to its own separate video channel, ensuring all of the action, including things that happened away from the live broadcast. The Sony HDC-4300 as used extensively for Super Bowl LII to capture HD and 4K images simultaneously. More than 130 Sennheiser, Shure and Sony wireless and wired microphones were also used to cover on-air talent, player interviews and natural sound from the game. As it has on other live games leading up to this year’s Super Bowl, NBC Sports employed a “High SkyCam” alongside its regular SkyCam; both of which fly above the playing field on wires. The former gives viewers a unique perspective of the entire field from above. While the traditional SkyCam, hangs up to 40 feet above the field of play, the new High SkyCam was operated at up to 80 feet. Due to its lower elevation, the regular Skycam usually stays behind the quarterback during play. Of Note: NBS Sports Group said it provided nearly 100 hours of coverage on-site from Super Bowl LII, across its broadcast, cable, digital, and radio platforms. This included both the week long pre-game festivities and the big game itself. Even NBCUniversal’s Golf Channel got in on the fun; featuring NFL coverage as part of its daily news and lifestyle show “Morning Drive,” live from Minneapolis during Super Bowl week. The completion of the Super Bowl LII broadcast marks another victory for the television production industry and NEP Broadcast in particular, which pulled off a winning game plan. As the game continues to grow, so too does the technology innovations associated with bringing it into consumers’ living rooms.